Dupe alert for Metro Chic featuring Sally Hansen's Commander in Chic! You know I love a good dupe, who doesn't? 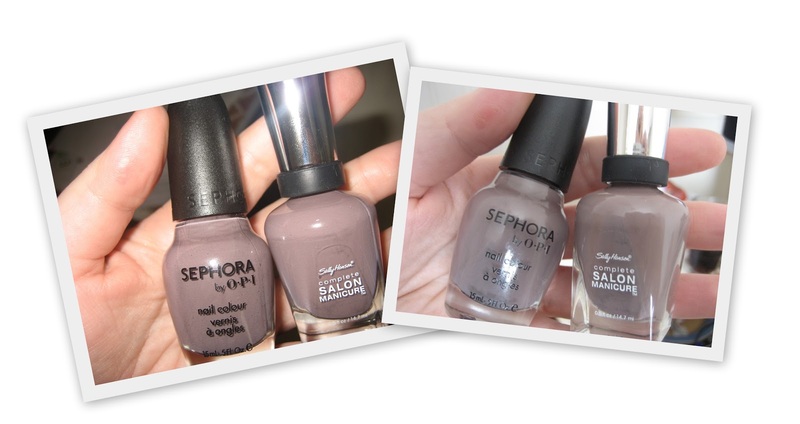 When I saw Commander in Chic at the launch of the Sally Hansen Complete Salon Manicure I thought of Sephora by OPI's Metro Chic sitting at home in my nail polish collection. I was excited to compare these two beauties especially because OPI is hard to find in Ireland. Yes there are websites that we can order OPI from,but it's not the same as being able to pop into town or to your local pharmacy and browse! ﻿﻿Above is both polishes taken with a flash. There is hardly any difference at all! ﻿Above is with no flash, again, the difference is almost imperceptible. The above photo shows the obligatory "Swatch Claw" as I call it. 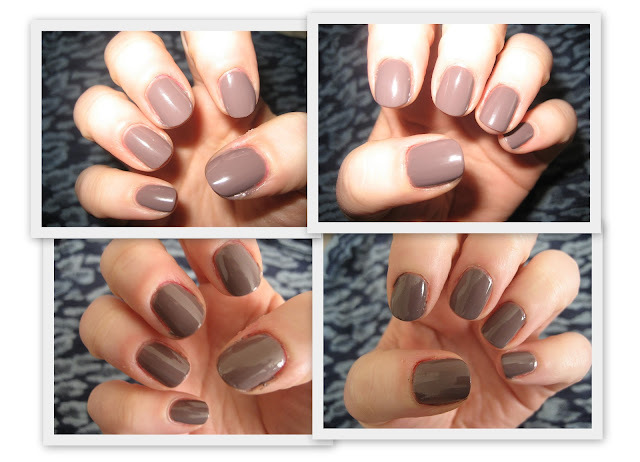 On the left is Sally Hansen's Commander in Chic and on the right is Sephora by OPI's Metro Chic. They are both chic, they are both beautiful, but come June, you'll be able to walk into your local pharmacy or grocery store and pick up Commander in Chic. thanks mrs! 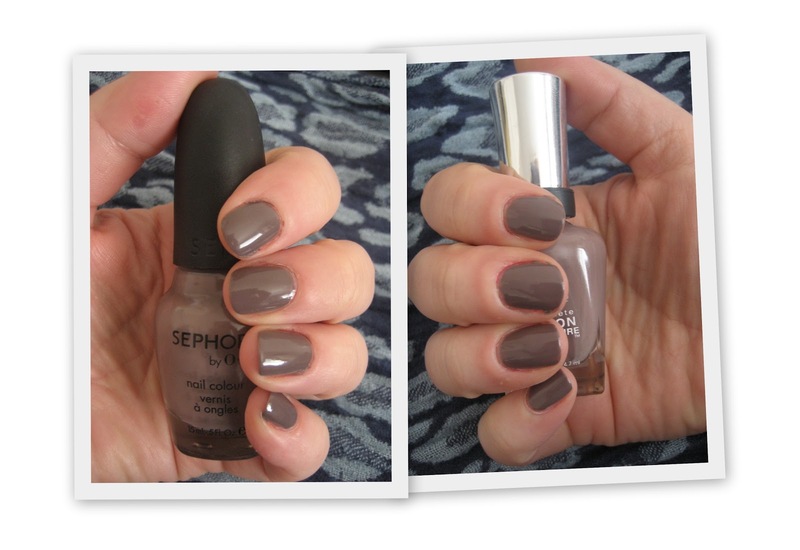 i love a good dupe,although i've messed one nail up already grating some carrots this evening, doh! 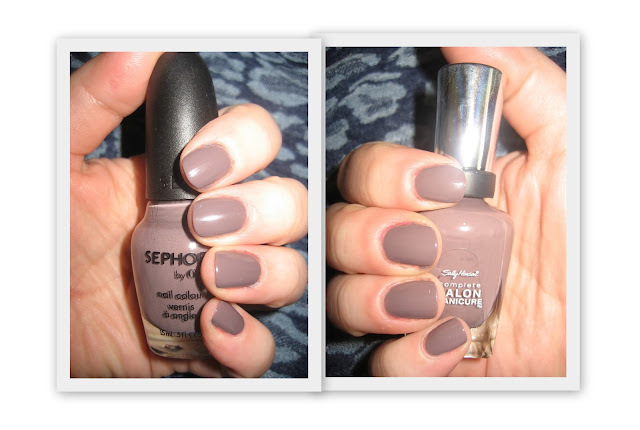 Great dupe, i can't tell any difference whatsover.